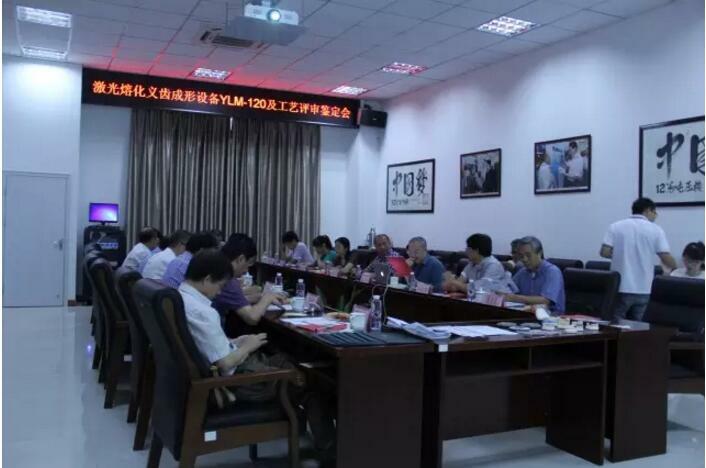 In August 31, 2016, commissioned by the Jiangsu Provincial Commission of letters, the Provincial Machinery Industry Association organized the "YLM-120 denture forming equipment and forming technology products appraisal meeting" held in Jiangsu Yongnian company. From Beijing City Dental Prevention deputy director, Beijing Stomatology Hospital Affiliated to Capital Medical University professor Li Song, vice president of Tsinghua University biological manufacturing center director Professor Raymond Lam, the First Affiliated Hospital of Soochow University dental director Professor Ge Zili and other 9 experts on our new research on the selective laser melting of YLM-120 denture forming device "for the evaluation and identification. 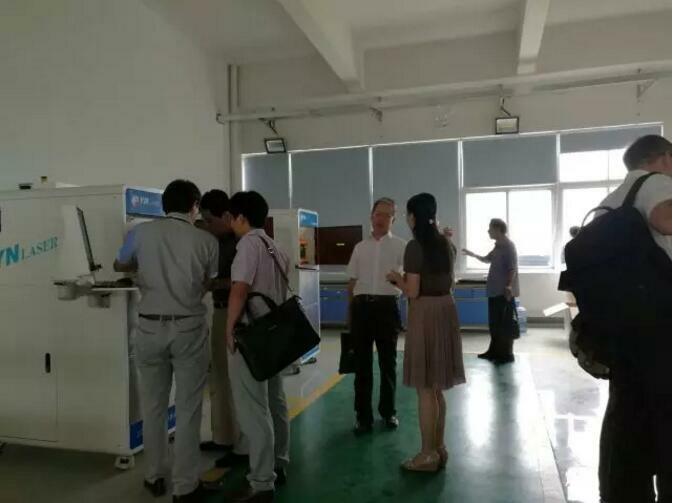 At the meeting, the chief designer of the new product, former Tsinghua University professor Yan Yongnian a detailed report on the selective laser melting of denture forming equipment (YLM - 120) research report, process report and technical and economic benefits analysis. 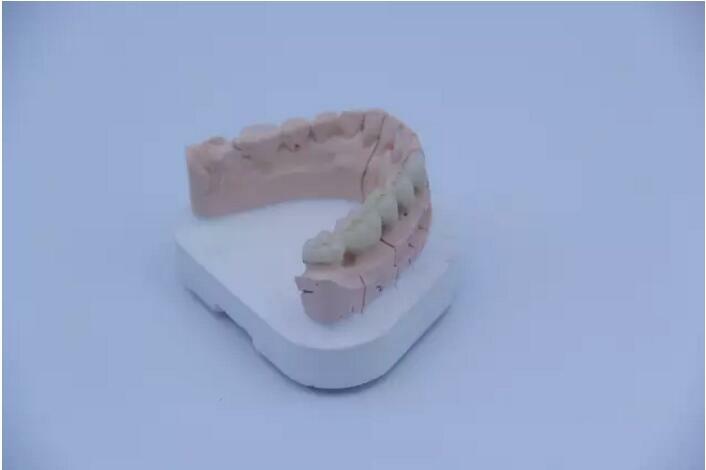 The experts reviewed the relevant documents and materials, inspected the production site; and conducted on-site inquiry and on-the-spot investigation, identification of the committee agreed that the "YLM-120 denture forming equipment" has reached the leading domestic and international advanced level. YLM-120 type forming equipment and forming process of denture denture is our selection of additive CoCr denture forming manufacturing high-end equipment and craft projects, after 2 years of research and development, research and industrialization in Jiangsu province; and the strong support of the Kunshan municipal government, the Chinese Stomatological Association, Beijing dental hospital related experts, professors, doctors and denture processing enterprises to help, made a breakthrough. The equipment with independent intellectual property rights 8 invention patents, research and development of parallel four link mechanism of "non rail slider type rolling friction powder system, cylinder forming cylinder of high precision double orientation, integrated design and overall processing of laser forming chamber, vibration free powder system by technical innovation; Jiangsu Province, increasing material manufacturing product quality supervision and inspection center detection, with GB5226.1-2008 and Q/320583 YLYN 001-2015 standards; the Suzhou Hong Yi Xuan and Shanghai airlines and other users, reflecting the good can be achieved by selective laser melting; denture with high precision and low cost, short cycle, high flexible forming. Jiangsu Yongnian denture selective laser melting forming equipment has changed the traditional method of denture, using digital instead of a lot of artificial denture; with high accuracy guarantee quality; reduce the denture production cost, shorten production cycle; solve the patient "the dentist is difficult, for your doctor", "medical complex" problem. To meet the personalized needs of oral therapy, it is the "star of tomorrow" in the denture industry, which can effectively promote the healthy development of the oral medical ecological chain.